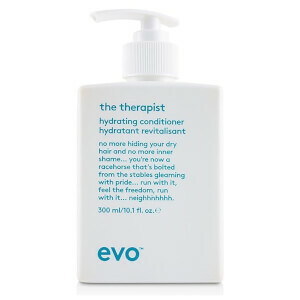 Suitable for all hair types but especially beneficial to fine hair, Evo Gluttony Shampoo (300ml) will gently cleanse away excess oil, dirt and impurities, leaving your locks looking full of life. Formulated with protein and film formers to strengthen and protect your hair, it helps to thicken and volumise your locks by penetrating and coating the hair, whilst the UV protectors work to target sun damage and keep coloured hair looking vibrant and lustrous. - L.M. Leaves hair well cleanesed and conditioned with a silky smooth finish and feel. 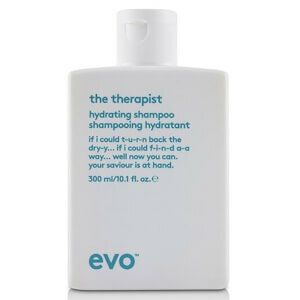 fabulous shampoo, plenty of volume and hair feels much much thicker. love it !! I have tried so many different brands of shampoo and conditioner for fine hair but this is the best! It makes my fine, slightly wavy hair full bodied and shiny, also I can go for a day or two between washes which is unheard of. A little goes a long way with these products. The only teeny weeny gripe I have is the packaging - I'm sure it's environmentally friendly but the bottles are very difficult to get product out of once they aren't full. I love it! I was already using the conditioner and now also the shampoo. It cleans my hair well and keeps my hair nice and healthy. Since I use the shampoo and conditioner my hair has more volume. Nothing extreme, but a lot more than normal and I have very fine and thin hair so for me this is a miracle! My hair is coloured, highlighted and very dry. Before this shampoo I always used conditioner and mask because it was impossible to comb my hair. Now I can comb my hair straight after using this shampoo, Clean feeling and nice volume is big +. 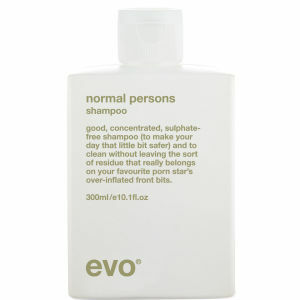 It's true, I love this shampoo, it's perfect for my fine hair, leaves my hair with volume and clean! Yes, I've said clean, because with others I don't have this sensation of having mi hair clean and it last several days.